Earn $14.87 in VIP credit (1487 points)What's This? 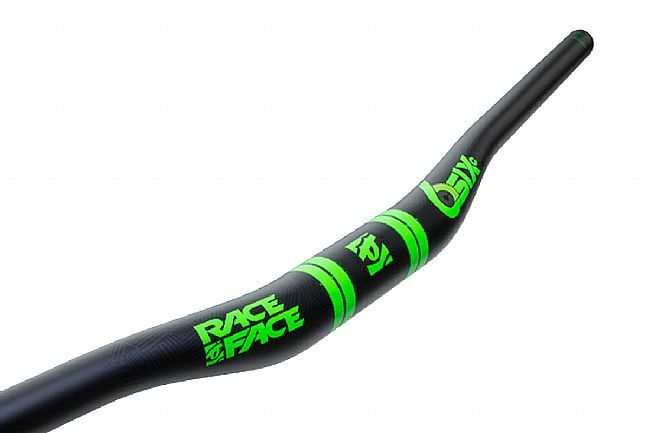 The Race Face SIXC 35 Carbon MTB Handlebar brings the magic of 35mm-diameter handlebars to their unidirectional carbon fiber construction. With a 35mm handlebar, the SIXC handlebars shed weight without sacrificing the stiffness, strength, or performance that Race Face handlebars are known for. With a slight rearward and upward tilt, the SIXC handlebars allow for a shred-ready riding position that make crushing climbs and tearing up descents easier than ever. 35mm bar diameter shaves weight while retaining stiffness, strength, and performance. Sweep: 8º rearward and 5º upward. Unidirectional carbon fiber construction with optimized flex for small bump compliance. Choose from 20mm rise or 35mm rise.